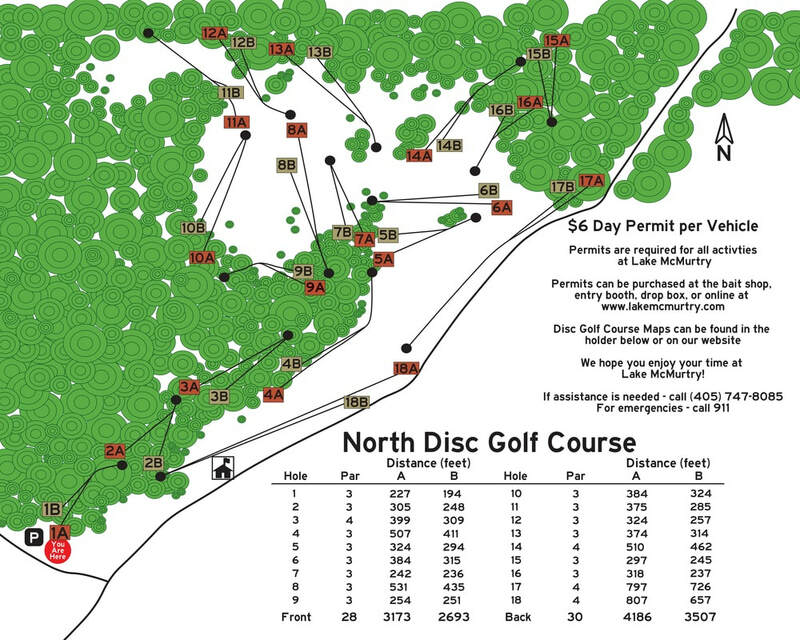 In 2013 Lake McMurtry constructed 2 premiere disc golf courses located at the East Side Recreation Area. They were laid out and designed by professional disc golfer Tom Duncan out of Duncan, OK. 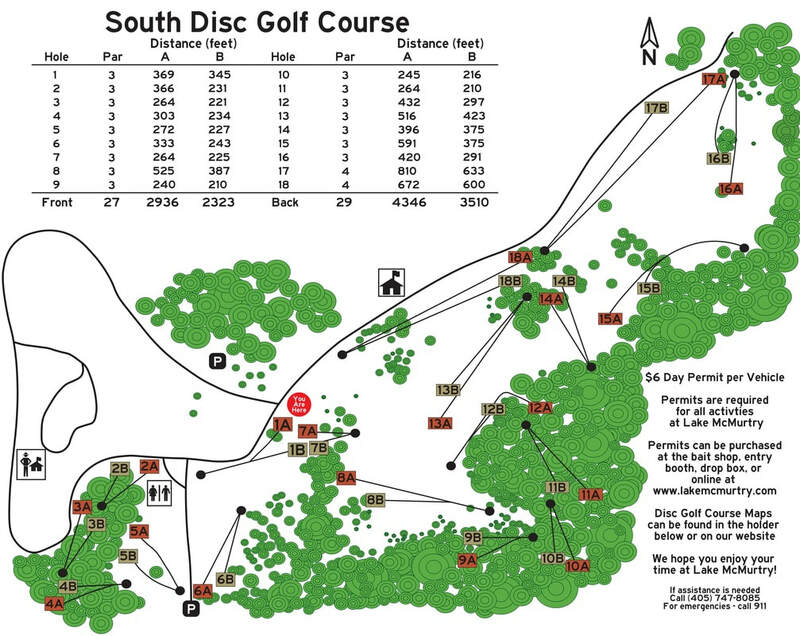 The courses will challenge disc golfers of all skill levels. Each one offers a long and short tee pad as well as a variety of short range wooded holes and wide open fairways that will test your best long range driver. Crews work hard to keep the grasses mowed and the fairways trimmed to enable disc golfers to have the best experience. Lake McMurtry is managed by a private Non-Profit organization and there is $6.00 day pass to use the recreational facilities.